Nov 15th, 2014 Best Cleaning is the BEST! Professional, knowledgeable, and efficient! Brett Rezek is an amazing business woman who truly understands what it takes to get the job done! Thanks for all that you do! Nov 7th, 2014 I would like to thank Jack, our technician, for an incredible job of cleaning our carpets last week. We have had three different companies clean our carpets in Durango and Best is far and above the others in both service and results. Couldn't be happier...thank you so much!! Oct 31st, 2014 My family has utilized Best Cleaning for many years, and we have always been impressed with the results of their carpet cleaning work, but more importantly, they provide excellent service in a timely basis, and their crew members are courteous. In addition, we have used their expertise with disaster and emergency services both at our home, and at our client's homes. Their specialized knowledge and skill is necessary when a disaster occurs. Oct 24th, 2014 Thank you BEST for a speedy response time during our crisis and a big thanks to Al and Thomas not only are they very professional but they also brought some laughter into our home during a troubling time for me and my family. Oct 23rd, 2014 BEST does carpet repair! We recently bought a house that needed specific carpet repair. Jeremy at BEST was very personable, fast, and provided a quality service. 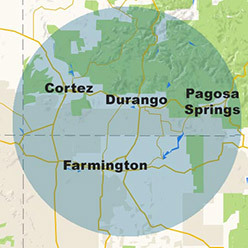 We don't have very many carpet repair options in Durango so I am looking forward to this new service from BEST. Definitely recommended to anyone that needs any sort of carpet repair work. Sep 3rd, 2014 We had a fire in our home and the water and smoke damage was nasty. Best came in and took care of everything good as new. Fires are devastating, but Best made it so much better!! Thanks Brett and your team!! Aug 27th, 2014 Wonderful job every time!! My very light carpet looks fantastic!!! I always feel a sense of relief when my carpet is clean. They are prices are wonderful and affordable! Thank you again!! Feb 14th, 2014 Recently our family has had two major events that Best Cleaning has helped us through. I was 9 months pregnant and arrived home with our 1 1/2 year old to water pouring out of our downstairs ceiling. The drywall was falling down, all of our belongings were saturated and it was freezing outside. Best arrived quickly, did an amazing job drying and removing all the unsalvageable portions of the walls, ceiling and lighting. It decreased the stress of an already very upsetting situation. Not to long after, while we were at the hospital having our second child, Best arrived at our house and did a fabulous job restoring our once white carpet to it's intended state. We came home a day later to a clean, dry beautiful home with our new little baby. There is something to be said about playing with your children on freshly cleaned carpeting. Thank you BEST for being professional and CONSISTENTLY doing such a great job! !